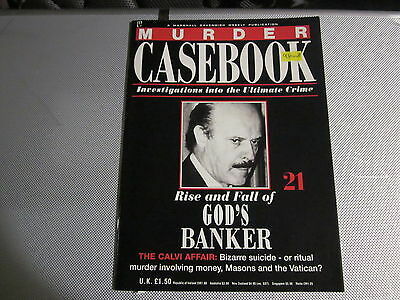 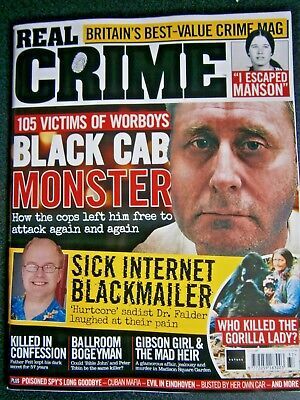 The Rise And Fall Of God's Banker, MURDER CASEBOOK 21, Roberto Calvi. 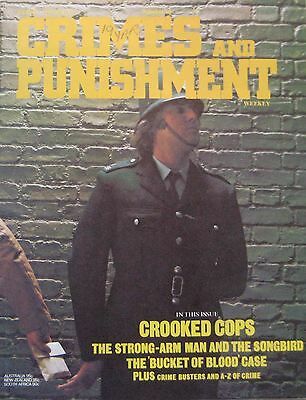 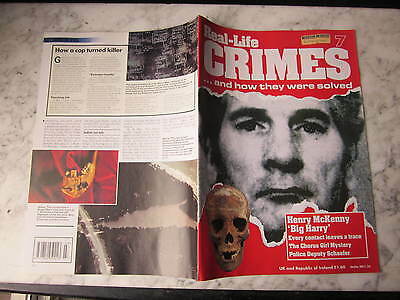 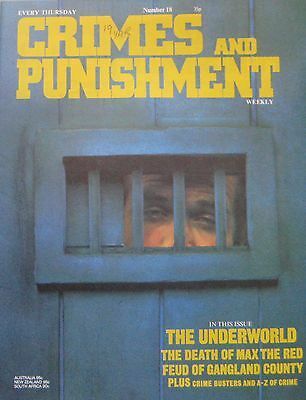 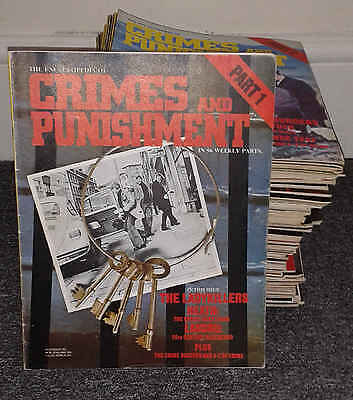 Henry McKenny, REAL CRIMES 7, George Shotton, Gerard Schaefer, Terence Eve. 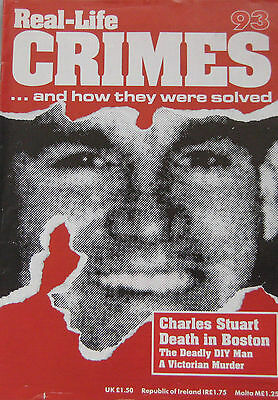 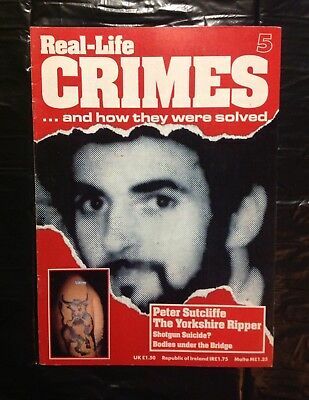 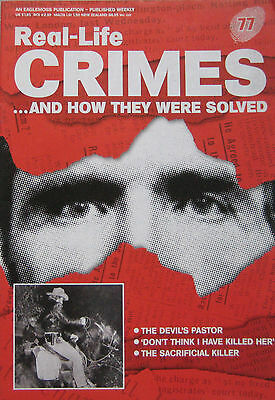 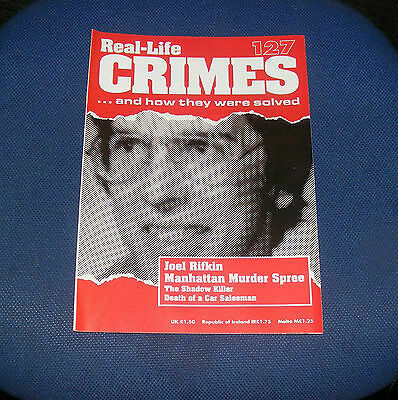 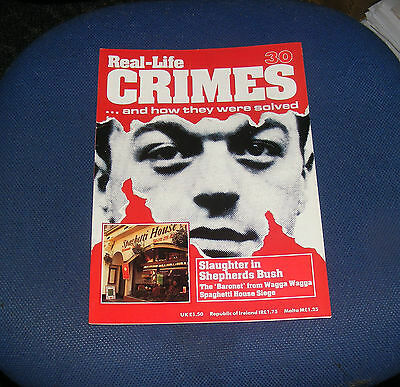 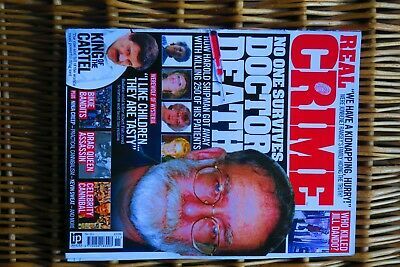 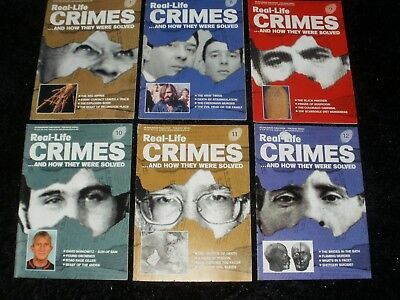 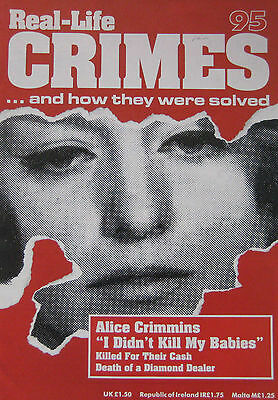 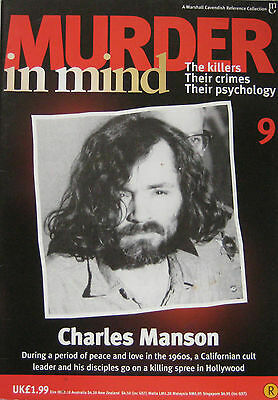 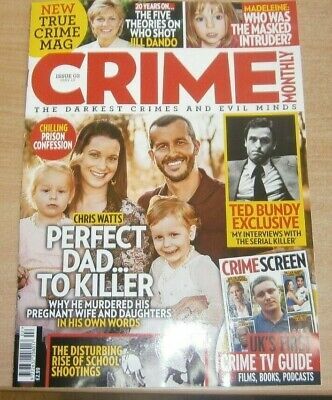 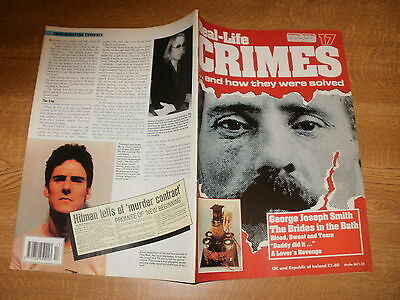 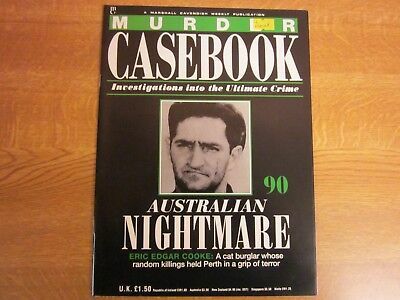 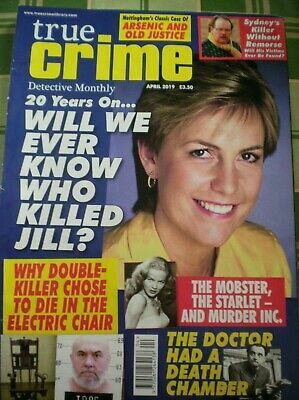 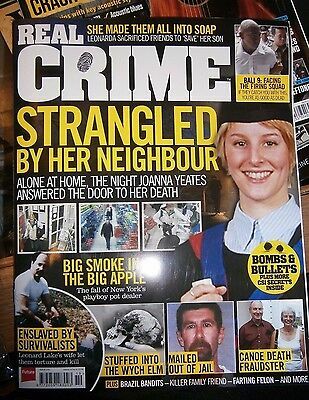 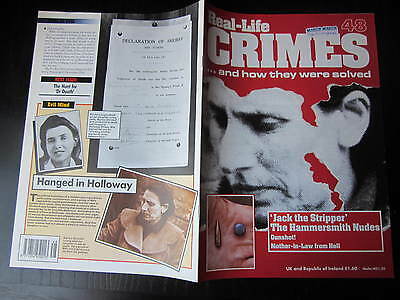 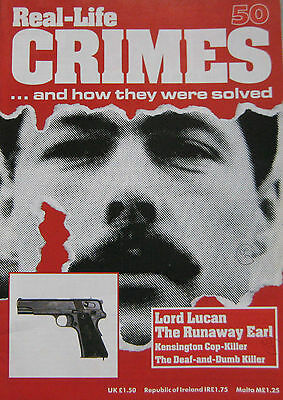 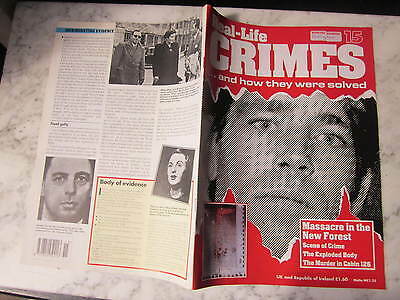 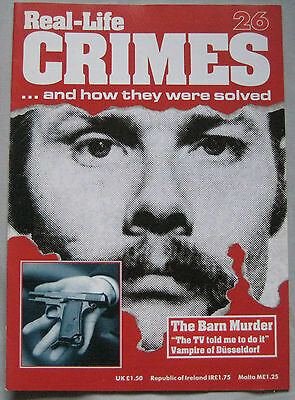 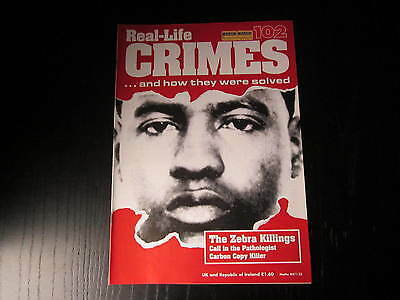 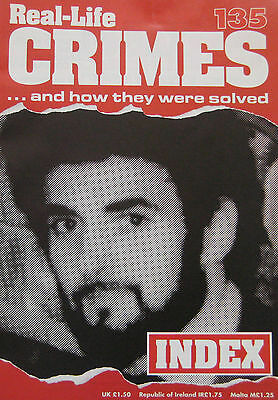 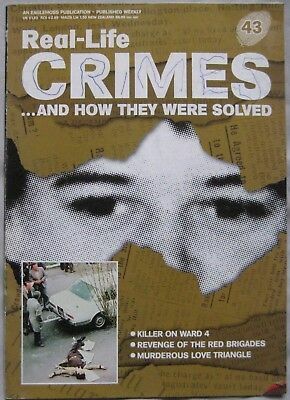 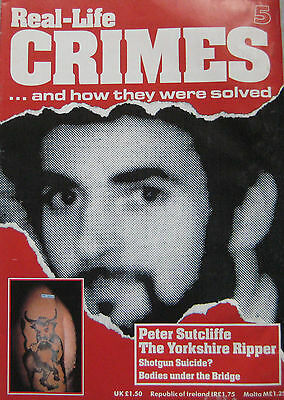 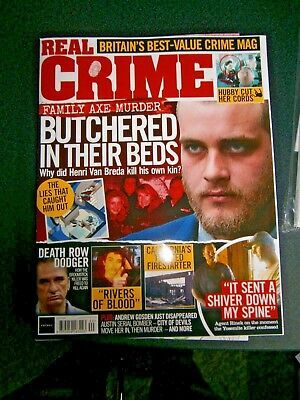 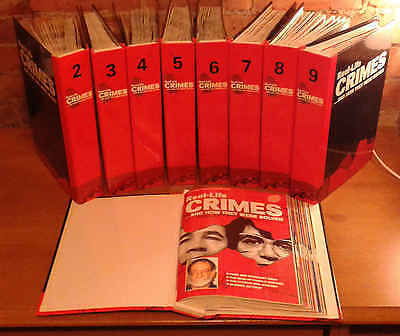 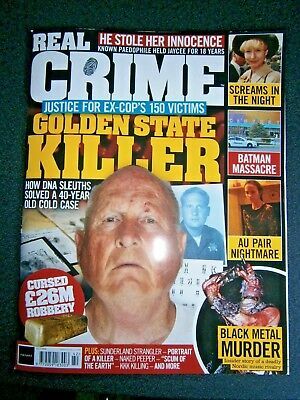 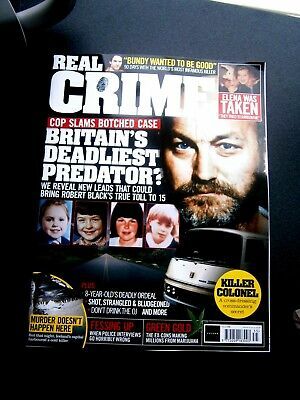 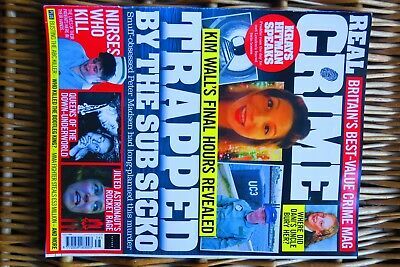 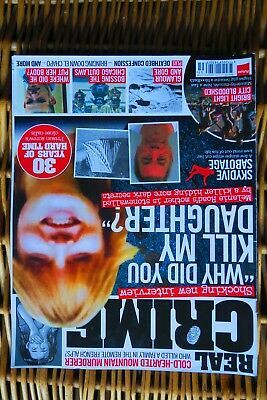 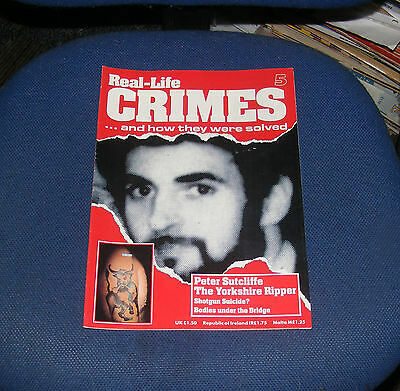 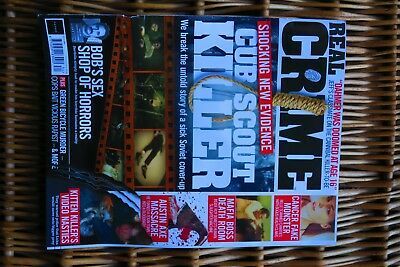 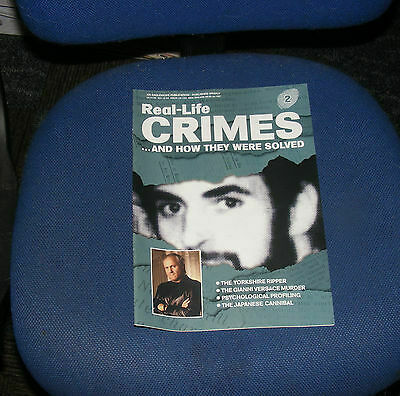 Real-Life Crimes Issue 95 - Alice Crimmins "I Didn't Kill My Babies"
Eric Edgar Cooke, MURDER CASEBOOK 90, Australian Nightmare, Brian Weir. 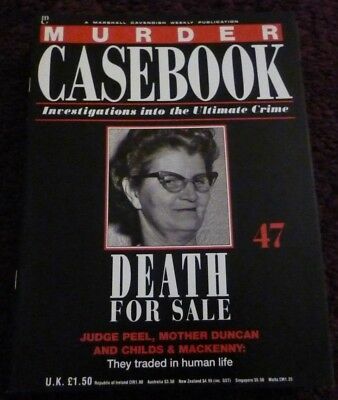 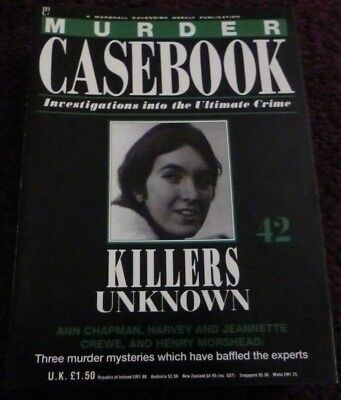 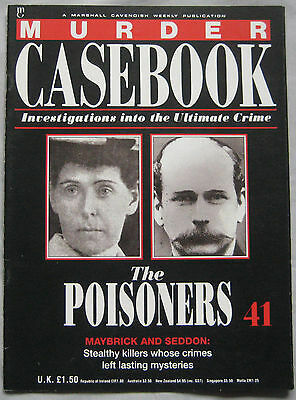 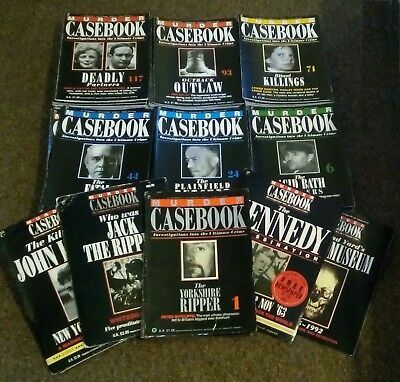 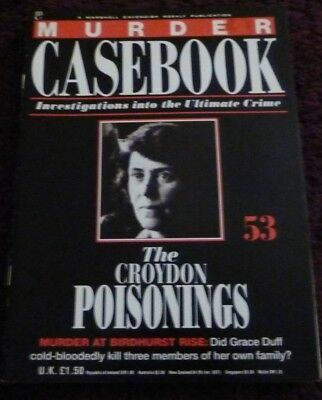 Kenneth Erskine, MURDER CASEBOOK 114, Bible John, Janet Coockett, Helen Puttock. 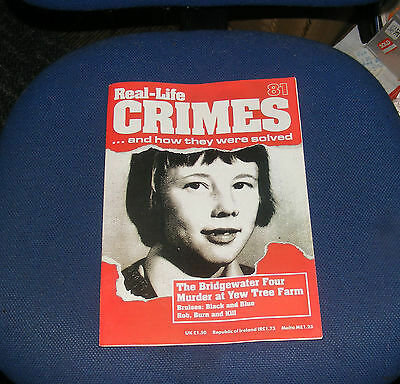 David Koresh, REAL CRIMES 48, Hannah Tailford, Mary Fleming, Styllou Christofi. 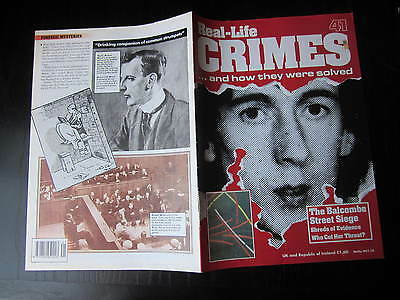 George Stephenson, REAL CRIMES 15, Richard Cravero, James Camb, Gay Gibson. 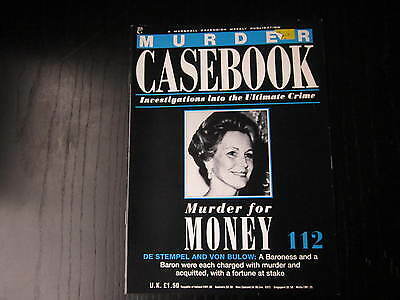 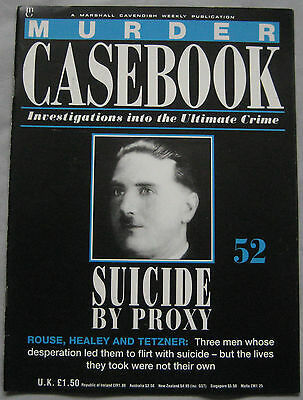 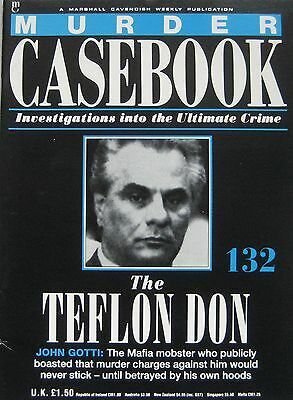 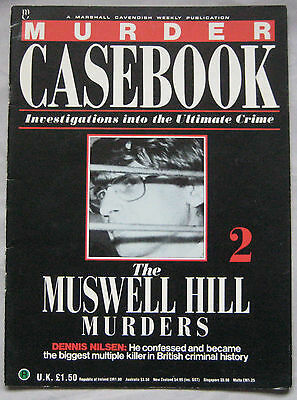 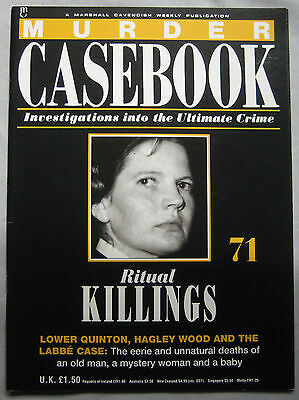 Claus Von Bulow, MURDER CASEBOOK 112, Marcus De Stempel, Simon Dale, . 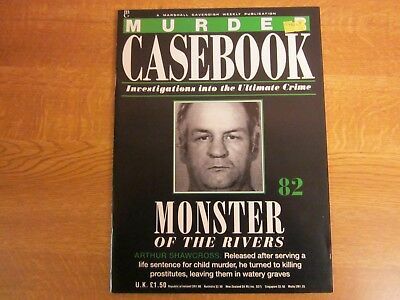 Arthur Shawcross, MURDER CASEBOOK 82, Monster of the Rivers, Karen Ann Hill. 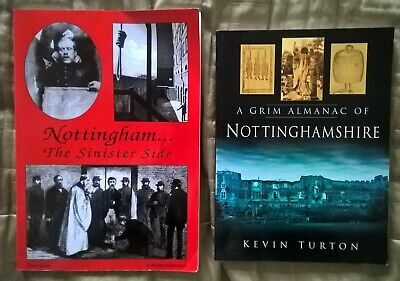 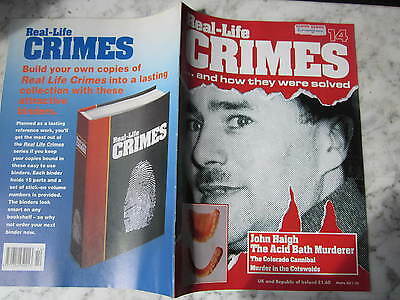 John Haigh, REAL CRIMES 14, Alfred Packer, Graham Backhouse, William McSwan. 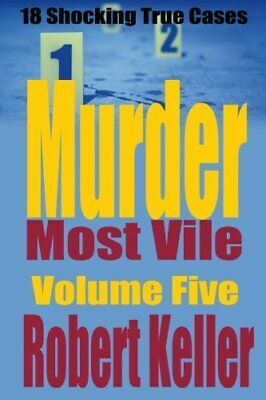 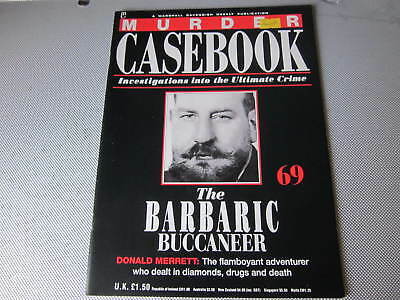 Donald Merrett, MURDER CASEBOOK 69, Barbaric Buccaneer, Vera Chesney. 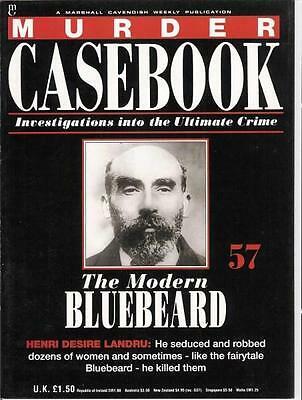 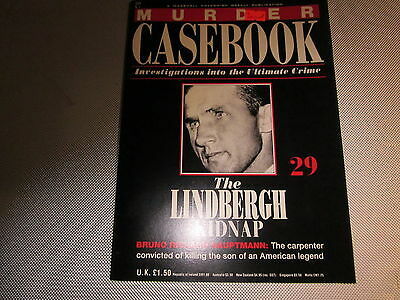 Bruno Richard Hauptmann, MURDER CASEBOOK 29, The Lindbergh Kidnap. 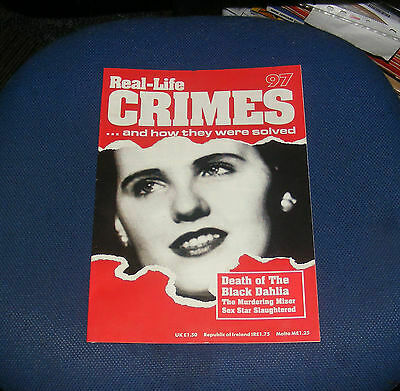 Alexander Sinclair, REAL CRIMES 68, Martin Johnstone, Patrick Mahon, Emily Kaye. 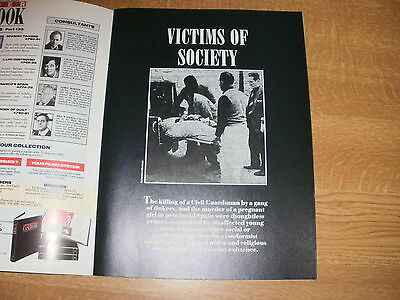 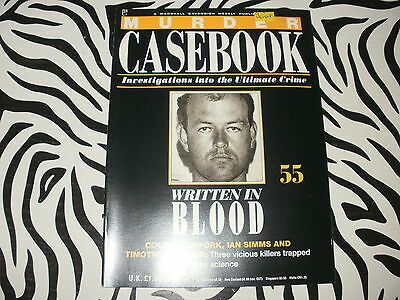 Colin Pitchfork, Ian Simms, Timothy Spencer, MURDER CASEBOOK 55. 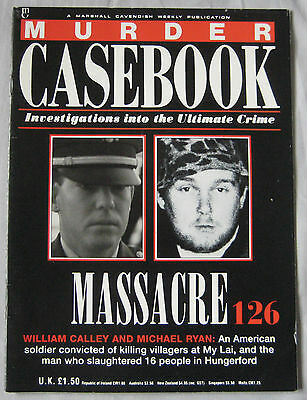 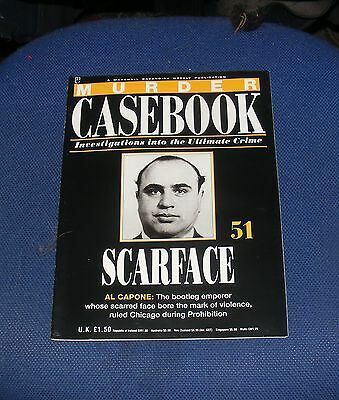 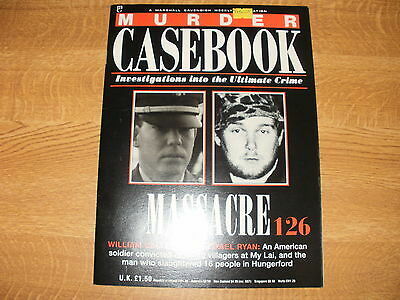 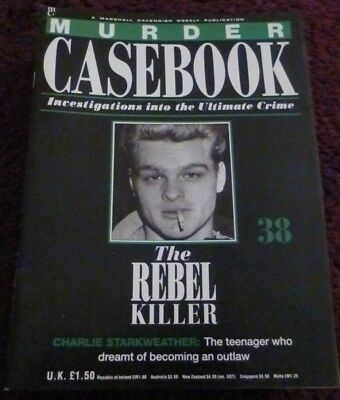 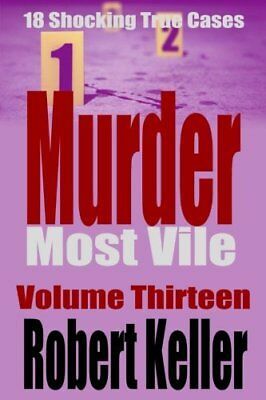 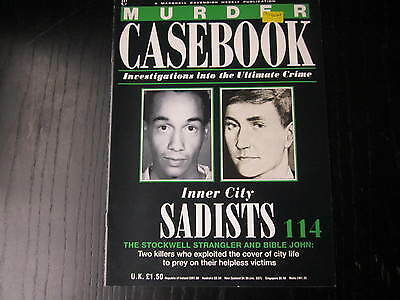 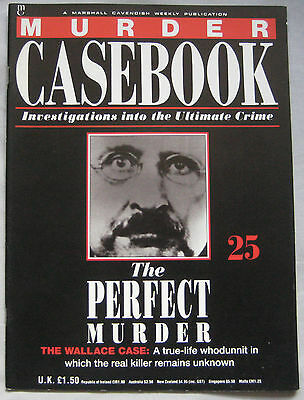 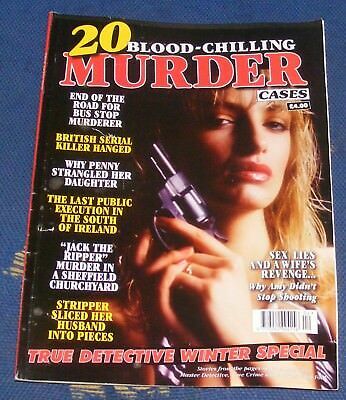 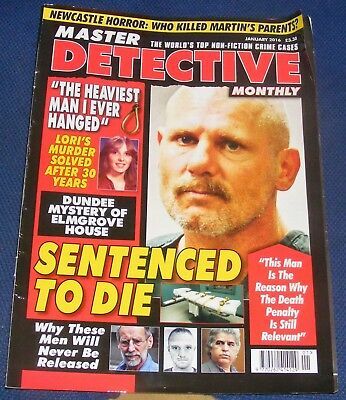 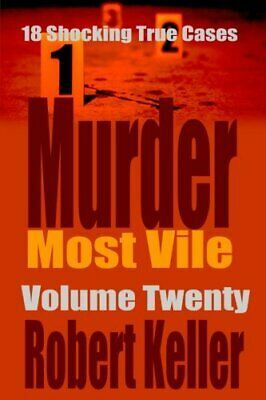 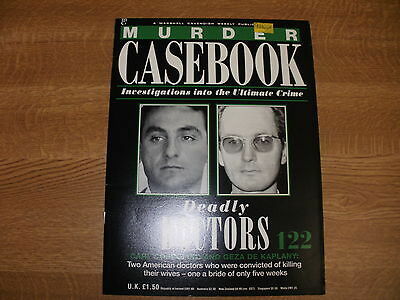 William Calley, MURDER CASEBOOK 126, Michael Ryan, Jack Gibbs, Roger Brereton. 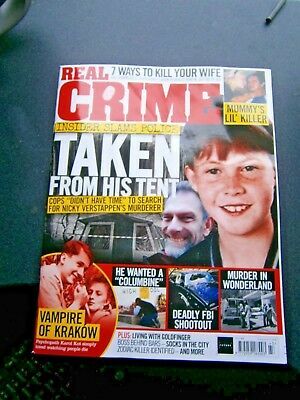 Manuel Moore, REAL CRIME 102, Michael Copeland, Gunther Helmbrecht, Tana Smith. 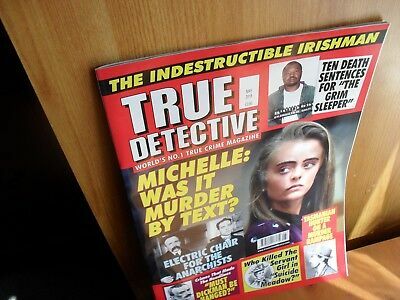 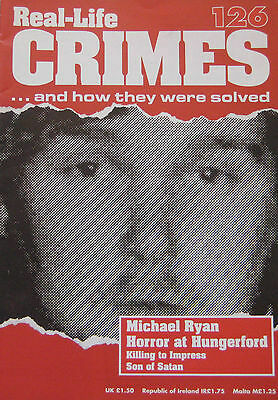 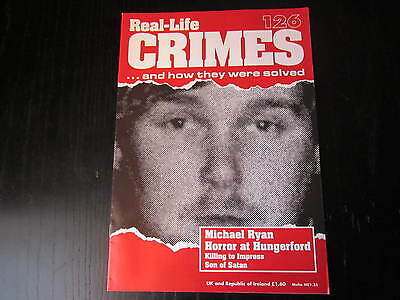 Michael Ryan, REAL CRIME 126, Karl Hulton & Betty Jones, Sean Sellers. 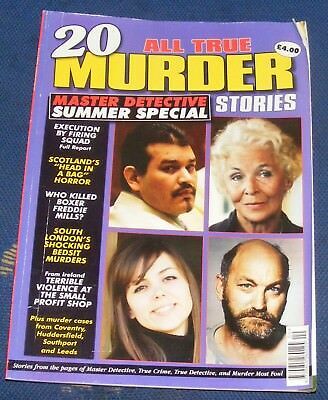 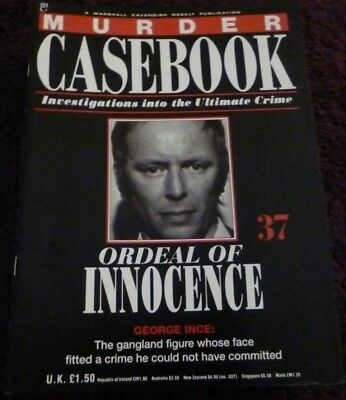 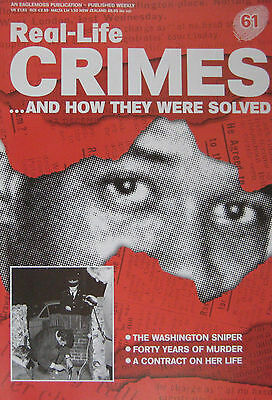 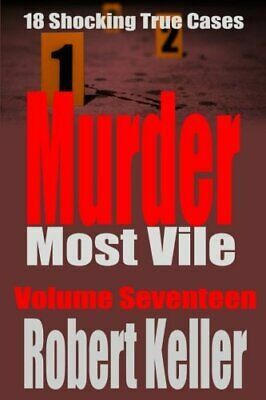 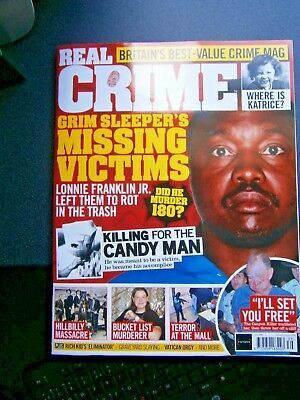 George Joseph Smith, REAL CRIME 17, Rufus Ford, Terry Thornton, Helen McCourt. 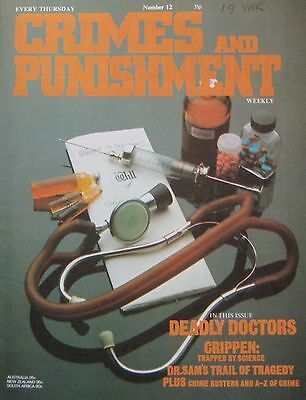 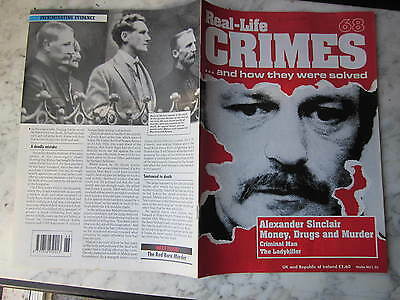 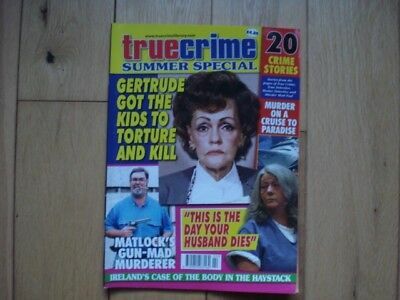 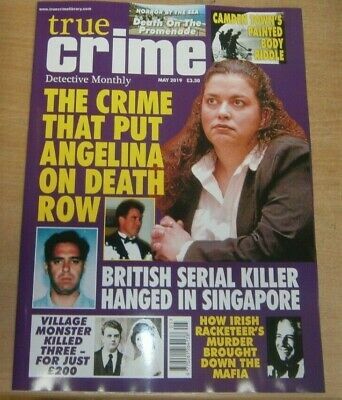 Harry Duggan, REAL CRIME 41, John Duffy, Phyllis Dimmock, Anthony Sinclair. 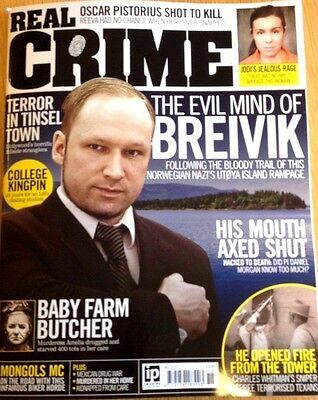 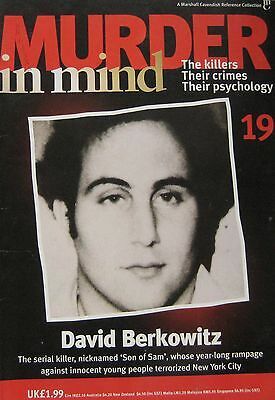 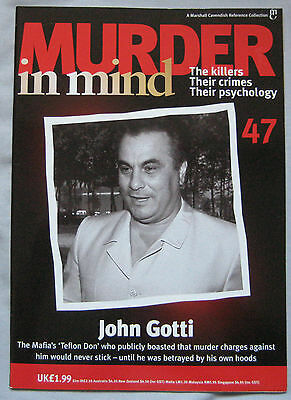 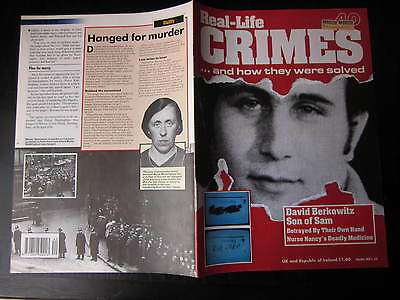 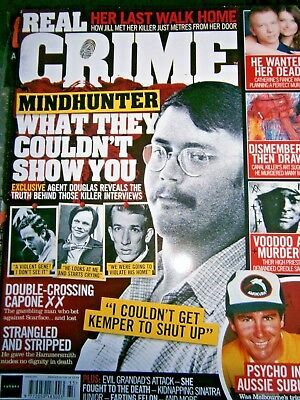 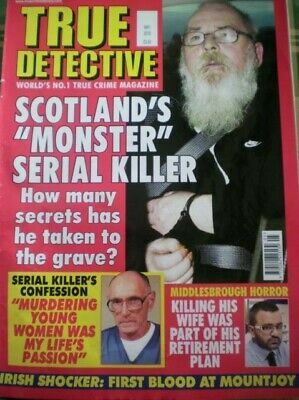 David Berkowitz, REAL CRIME 40, Dorothea Waddingham, Muriel McKay. 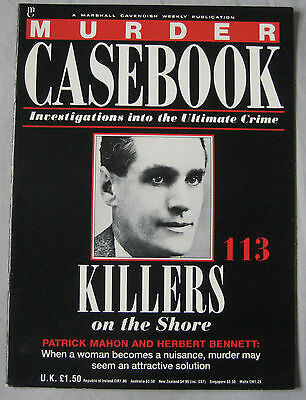 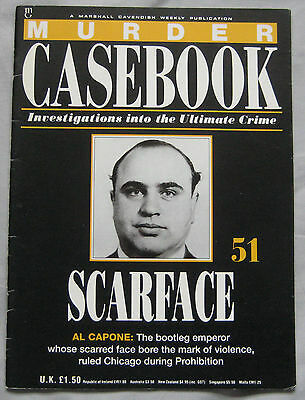 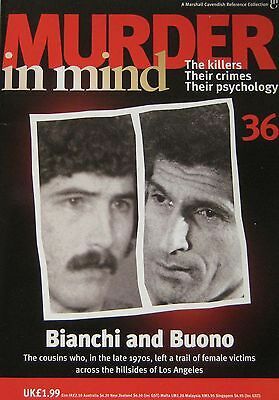 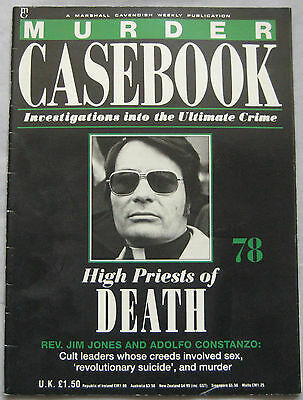 Jesus Garcia-Romano, MURDER CASEBOOK 133, Fernando Olmas, Antonia Torres. 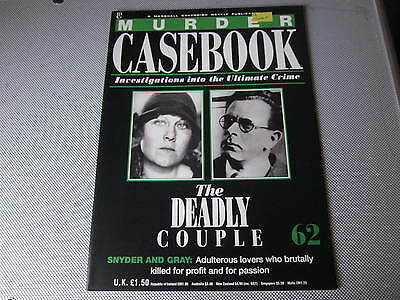 Ruth Snyder, Judd Gray, MURDER CASEBOOK 62, The Deadly Couple, Albert Snyder. 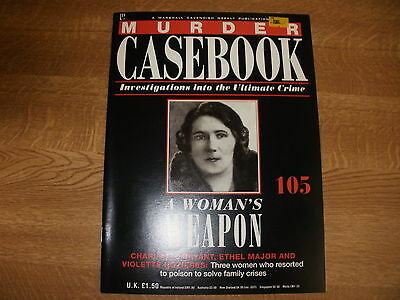 Charlotte Bryant, MURDER CASEBOOK 105, Ethel Major, Violette Nozieres.